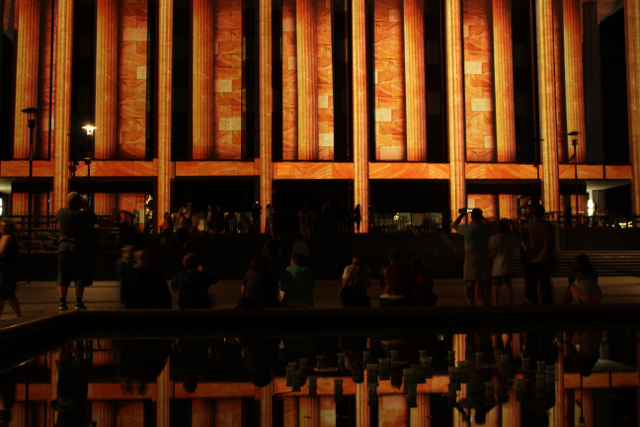 In early autumn, Canberra’s political and cultural center takes on a different hue. 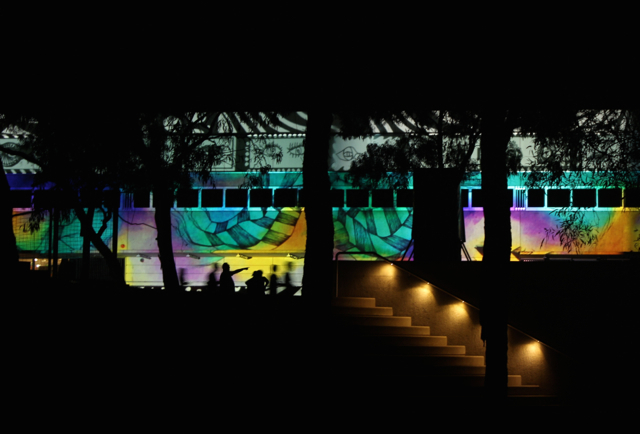 Even the deep reds and picturesque rustiness of the trees encircling Lake Burley Griffin can’t compete with the vivid glow of the annual Enlighten Festival. 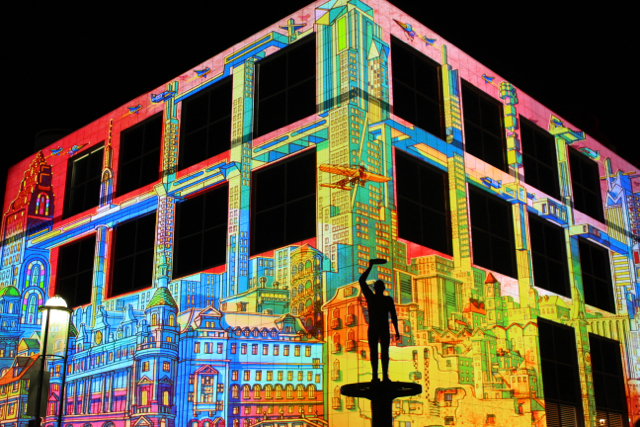 Through the wonder of modern technology and some very creative lighting architects, some of the city’s most notable buildings are blasted by a series of vibrant projections. 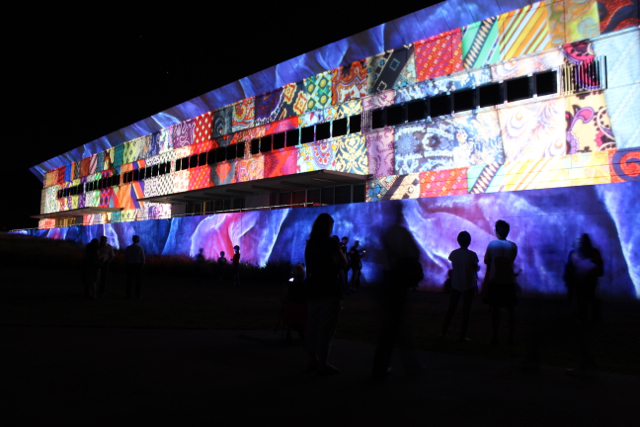 Lifeless concrete walls that usually reflect a flat grey under Australia’s strong sun come alive in the most flamboyant way once night falls. 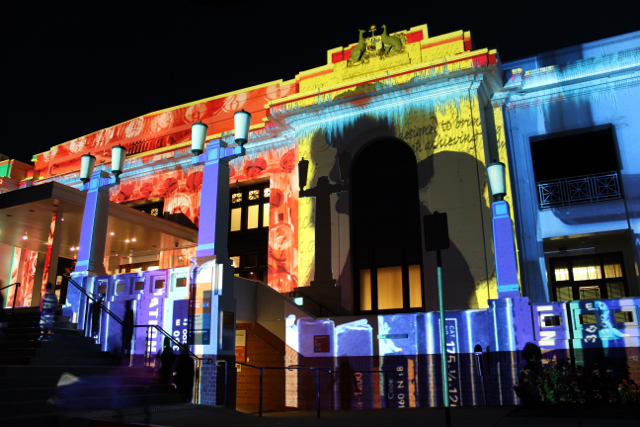 Each projection runs for several minutes through a series of interchanging, intricate scenes. Each building’s work of art is completely unique. It’s a treat for the eyes, and sends the viewer into a hypnotic state, as bright turquoises transform into golden dots or deep purple stripes. It’s almost impossible to drag your gaze from the kaleidoscope of multi-coloured allure. As criminal as it feels to swap your mystified eyes for the lens of a camera, it’s definitely worth it. 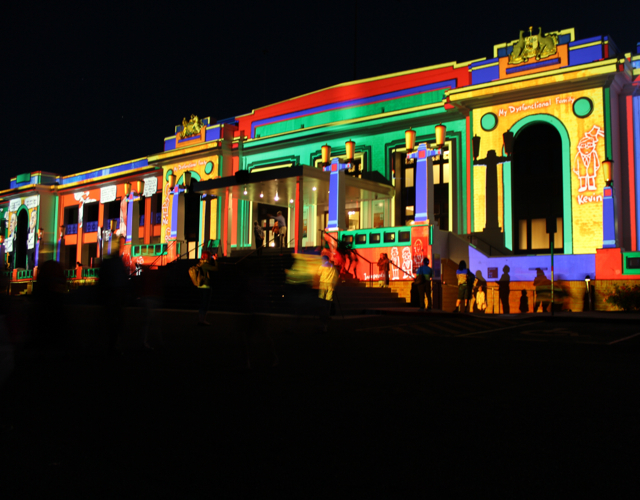 Old Parliament takes on an otherworldly complexion! It’s hard to believe this is normally grey rendering! Real people or projected shadows? …you decide! 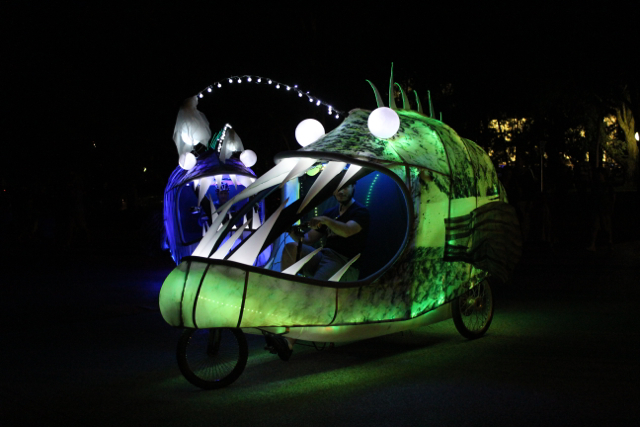 Even the event’s stewards travel in illuminated style! Would you like to join the fun next year? 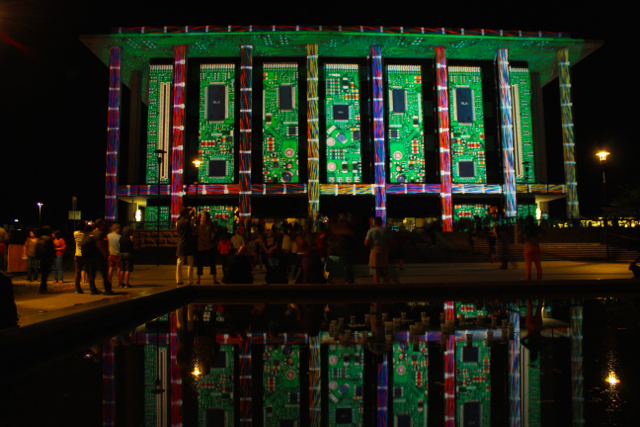 Check out Canberra’s Enlighten Festival website. These light shows are always so amazing. I love the way the pictures and music are coordinated. You’re so right – and I haven’t even mentioned the music here, but together it’s a sensory feast!